The commerce ministry issued stricter norms for online marketplaces like Flipkart and Amazon after a slew of complaints and protests by domestic retailers’ and traders’ organisations against the exploitative, unfair and competition-distorting practices of these companies. 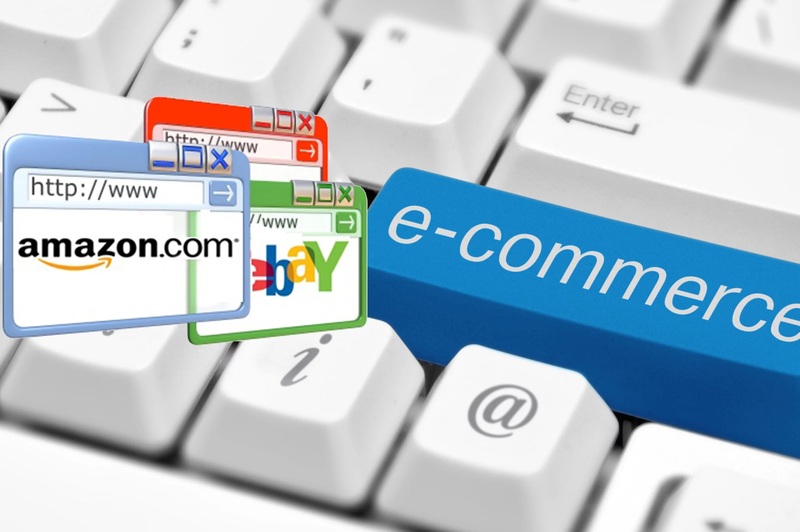 Indian retailers’ and traders’ associations have welcomed the issuance of stricter rules by the government regarding Foreign Direct Investment (FDI) in e-commerce, but it is unlikely to make a difference in the fortunes of domestic traders and especially smaller producers. On December 26, 2018, the Ministry of Commerce & Industry tightened norms by making clear that FDI-funded e-commerce entities that operate as a ‘marketplace’ shall not be allowed to sell products from companies in which they have any ownership or equity interest. “An entity having equity participation by e-commerce marketplace entity or its group companies, or having control on its inventory by e-commerce marketplace entity or its group companies, will not be permitted to sell its products on the platform run by such marketplace entity,” said the ministry’s circular. Flipkart’s Acquisition: What Does It Mean? The new rules, applicable from February 1, 2019, have come after a slew of complaints and protests by domestic traders’ and retailers’ associations for years now against the e-commerce giants such as Amazon and Flipkart. The acquisition of 77 per cent stake in Flipkart by US-based Walmart — the world’s biggest brick-and-mortar (offline) retailer — on May 9 had also sparked off protests by the domestic retailers. They protested on the grounds that it would damage the domestic retail trade as the Walmart-Flipkart deal was a back-door entry for Walmart into multi-brand retail in India, where FDI in multi-brand retail is capped at 51 per cent. As per guidelines issued by the Department of Industrial Policy & Promotion via Press Note 3 (2016), 100 per cent FDI under automatic route is permitted in the ‘marketplace’ model of e-commerce but FDI is not permitted at all in the inventory-based model of e-commerce. The ‘marketplace’ model is when an e-commerce company acts as a facilitator between sellers and buyers by providing an online platform, while ‘inventory-based’ model is when an online company sells its own inventory of products online. So, while these rules prohibiting online marketplaces have already existed, companies like Flipkart and Amazon had been resorting to mechanisms to circumvent these rules. These mechanisms include creation of ‘proxy sellers’ or “name-lending” companies or “controlled sellers” in which the marketplaces through their group companies have equity interest. The marketplaces through their group companies buy goods from large manufacturers and then sell them to the proxy sellers, who are then promoted through higher visibility on the marketplace website. Among other rules, Press Note 3 also mandates that the sales volume from a single seller, or its group companies, cannot exceed 25 per cent of the total sales volume, which is again circumvented through the ‘proxy sellers’. On July 30, the Delhi High Court issued notices to Amazon, Flipkart and the central government, acting on a petition filed by an NGO named Telecom Watchdog over these violations. Complaints have also been lodged with the Competition Commission of India (CCI) by several associations of traders and retailers, including the All India Online Vendors’ Association (AIOVA) and the Confederation of All India Traders (CAIT). But even fair trade regulator CCI had washed its hands off. In December 2018, the AIVOA had even written to the Prime Minister’s Office over the exploitative practices of Amazon and Flipkart. In fact, the CAIT, a body traditionally sympathetic to the BJP, had been among those at the forefront campaigning against this and had called for Bharat Trade Bandh on September 28, 2018. But the CAIT welcomed the move in a press statement released on December 31, 2018. Among other objections, the retailers and traders have complained about Flipkart’s and Walmart’s practices of ‘predatory pricing’ and ‘deep discounting’, and the impact they have had on domestic trade, especially on small and medium scale enterprises. However, despite the relief that the tightening of norms appears to have brought for the traders’ community, it is unlikely to dramatically improve the prospects of the traders and producers — especially the micro, small & medium enterprises (MSME) sector — struggling as they are under the slew attacks wrought by the Modi government. Apart from demonetisation, the main culprit has been the Goods & Services Tax (GST), which has adversely affected the MSME sector. Within only a year of the implementation of the GST, it was amply clear that it favoured bigger businesses while ruining the small businesses. In fact, the traders’ community in Gujarat, Modi’s home bastion, was so distressed with GST that the textile traders began raising and even sewing into their goods, the slogan of “hamari bhool, kamal ka phool” (our mistake, choosing the Lotus) ahead of the assembly polls in 2017. Indeed, the BJP won with just 99 seats — its lowest ever in nearly two decades. According to a survey by a manufacturers’ association released in December 2018, a total of 35 lakh jobs had been lost among traders and in the MSME sector in the past 4.5 years since Modi came to power. The fact that the BJP has subsequently lost in assembly elections in other states also testifies to how disgruntled the people are. Although, Modi promised in December 2018, ahead of the 2019 general elections, that he would cut the GST rate from 28 per cent to 18 per cent or lower for “99 per cent of items”, it was a matter of too little too late as damage has already been done, besides being just an election sop which is yet to be implemented. So, while stricter norms have been issued in heed to the traders and retailers crying hoarse over the practices of these foreign e-commerce behemoths, it will do little to undo the destruction that Indian producers and traders have been battling.